On episode 28 of The Overcast, Traffic Lab reporters Mike Lindblom and David Gutman get nerdy with us about Sound Transit 3 and the car tab fees that fund it. As of March 1, drivers are paying higher car tab fees to finance Sound Transit 3, the massive transportation measure approved by voters in November 2016. The fee hike itself may be no surprise, but the size of it has caused some sticker shock. On this week’s episode of The Overcast, Traffic Lab reporters Mike Lindblom and David Gutman explain how the car tab fee is calculated and tell us about efforts in the Legislature to change it. 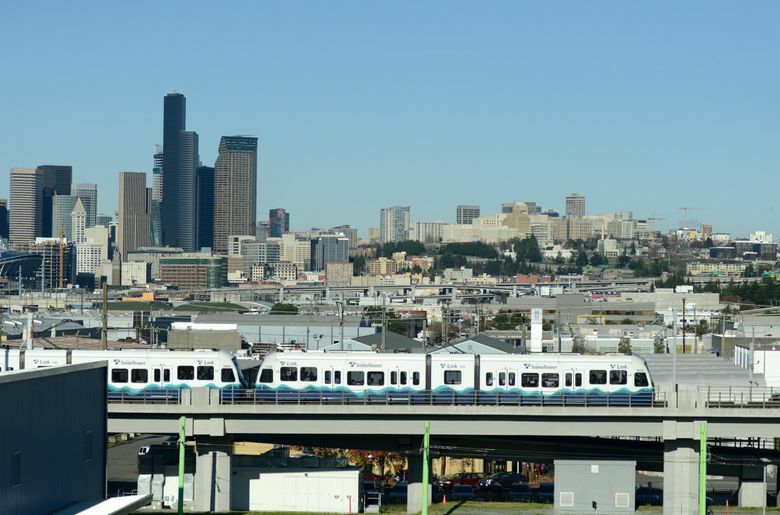 Plus, we name this week’s winners and losers in local politics — and in keeping with the theme of the episode, Sound Transit comes up here as well. You can subscribe to The Overcast on iTunes, TuneIn, Stitcher or via RSS. If you listen on iTunes, please leave us a review there! Send us your feedback and your nominations for next week’s winner and loser in local politics! Leave a comment on this post, tweet at us (@dbeekman, @Gina_Cole_), email us (seattletimesovercast@gmail.com) or drop us a voicemail at 206-464-8778.